It has been reported that the driver charged with killing an 8-year old boy in Skokie in a bicycle accident in May has plead not guilty to the charge against her. The driver, 23-year old Hanin Goma of Skokie, is charged with a felony count of aggravated DUI resulting in death and a misdemeanor count of driving under the influence of drugs. The Cook County Circuit Court judge overseeing the case denied a request to lower bond for Goma. What made this accident all the more tragic is that the 8-year old boy had been riding on the sidewalk, riding behavior endorsed by the Village of Skokie's Bicycle Safety pamphlet. That the accident occurred in spite of the child following the rules has not been lost upon Skokie's government officials. A series of meetings in Skokie have taken place in order to address the issue of improving traffic safety throughout the village with an emphasis around parks and schools. That these changes are being seriously discussed for implementation only after a tragic loss of life, especially in one so young, is unfortunate but it is heartening to see the people in the community rally around this issue to change the status quo. The attorneys at Keating Law Offices have been following this case since news of this tragic accident was first released. 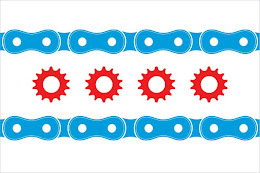 The Illinois Bicycle Lawyers at Keating Law Offices are currently handling two other cases stemming from bicycle accidents in Skokie.We handle cases stemming from bicycle accidents in all courts throughout Illinois.